Thank you for our sun. It is really helpful because it keeps us warm. Thank you for our water because it keeps us clean, we can have fun in it, and we can drink it to stay hydrated. Thank you for our trees because they give us oxygen and they are beautiful. Thank you for our flowers because they are beautiful. 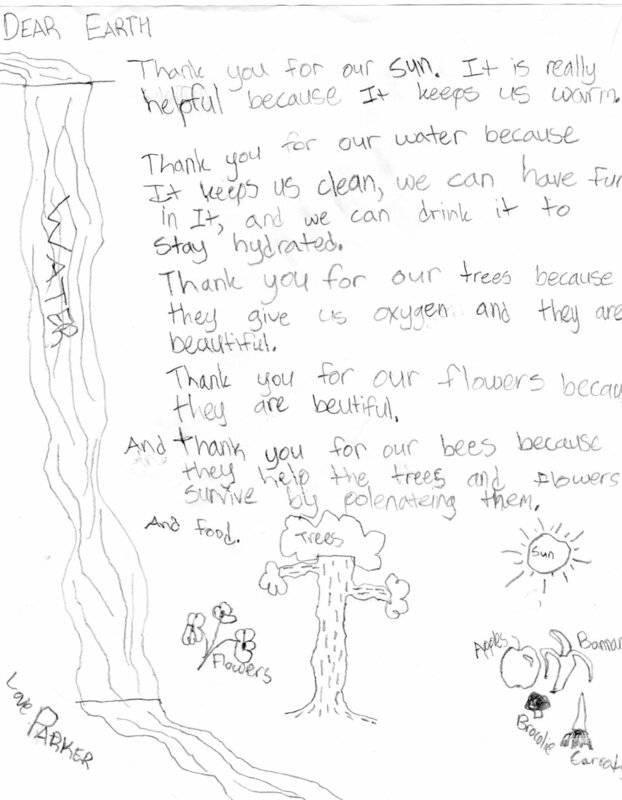 And thank you for our bees because they help the trees and flowers survive by pollinating them.